Editor’s note: The following blog post was written before the tragic shooting of police officers in Baton Rouge July 17, however, its message still rings true. Faced with a new round of grief, confusion, frustration and anger, thoughts of “being a neighbor” gather increased significance. It is with prayerful hope that the editorial team at Geaux Therefore publishes this post. It has been a difficult few weeks with racially charged conflict in Baton Rouge after police shot Alton Sterling. Since the shooting there have been many demonstrations protesting the shooting, leading to the arrest of over 100 protesters, including a Black Lives Matter leader. Baton Rouge police officers have been criticized for wearing body armor as they shepherded the demonstrations, even as BRPD officers uncovered a plot to shoot members of their department. The community gathered at a memorial service for Sterling last week, yet the tensions remain strong. Carol and I were helping Austin move to a new apartment in Baton Rouge on the evening on July 12. His new apartment is located about 15 blocks south of where Alton Sterling was shot and the fulcrum of the recent demonstrations. We unloaded his car with things moved from his old apartment, but in that process his car battery was drained. When he tried to start the car, it wouldn’t start. We tried to jump start the battery from Carol’s car, but we were unsuccessful. It was after 10 p.m. in a darkened apartment parking lot. A black man approached us. We didn’t know him, and he didn’t know us. He was about the same size and somewhat similar in appearance to Alton Sterling. He offered to help us. Since we had been unsuccessful with our efforts, we took him up on his offer. He pulled his vehicle over and we tried to start it with our battery cables, but it still wouldn’t start. So he pulled out his own cables and hooked them up, and this time it did start Austin’s car. I offered to pay him for his gracious help, but he courteously refused. We thanked him – a stranger who helped people of another race whom he didn’t know — and we left to get another load from Austin’s old apartment. Jesus told a story similar to that experience. There was a man on a journey who came upon a man of a different ethnicity who needed help – an ethnicity different from his, between which there had been significant ongoing conflict. He helped the man at some personal risk and cost. Other people of the hurt man’s own ethnicity had ignored his need, but this man helped him. Jesus asked which of these persons was a neighbor to the man in need. Someone rightly answered that it was the man who showed compassion on his neighbor, a man whom he didn’t even know (Luke 10:25-37). If we are to get beyond this current crisis in our country– if we are to survive and thrive as a nation – we are going to have to learn to be better neighbors, particularly to those who may be different in some ways from us. We must show compassion and help those in need, even to those we may not know. Being better neighbors is the only path forward toward a brighter future for our nation. We will either languish without each other or go forward together. I believe God would have us to join hands and be the neighbors we should be. Dr. Steve Lemke currently serves as Provost and Professor of Philosophy and Ethics at New Orleans Baptist Theological Seminary. This is the fourth in a series of articles written to examine early Christian martyr stories and to compare them with contemporary accounts of persecution according to content, themes, players, and actions. Widespread global persecution in the past one hundred years is the continuation of persecution that began during the early centuries of the church. Here’s a link to the Caskey Blog for more articles like this. I read an interesting article today. The article discusses the predatory loan practices of payday loan companies. The article mentioned the results of a Lifeway Research study regarding attitudes of Christians towards finances. Abraham Hamilton was also quoted in the article. He emphasized the fact that these payday loan companies are taking advantage of the people who are least able to protect themselves from these practices – the elderly and impoverished. What are some ways that we can protect the financially vulnerable? I don’t think giving away money is the best approach. That would simply create an unhealthy reliance on the church rather than the payday loan store. Hamilton stated the two main things he recommends is 1) teach your church membership that these predatory practices exist, and 2) make financial management a part of your equipping ministry. I believe that our smaller membership churches are able to impact their communities by taking a stand on this issue. Jesus told us in Matthew 25 that we are to care for the vulnerable in the community. We are not to live in a bubble. We are to be incarnational, taking Christ into the world. When we work in the community to care for the powerless, we show the love of God. People need to know you care in order to trust what you tell them regarding the gospel. Consider your church’s role in the community. Do you have vulnerable people who are being mistreated? How can your church protect them? Regicide: (noun) the action of killing a king. Above Jesus’ head on the cross was a sign that was meant to mock and deride Him. It read, “This is Jesus, king of the Jews.” Uncertainty and instability often accompany regicide, and the account of Jesus’ death was no different. The disciples and apostles fled and mourned. Their master was dead. How could this be? He was lauded just days before upon entering the city and now He lay in the tomb dead. Who brought about this turn of events? Who committed regicide? Historically, the Romans killed the King. Functionally, the Jews killed the King. Spiritually, we killed the King. The Romans were the ones who beat, whipped, crucified, and stabbed Him. They held their kangaroo court and perverted justice won. Pilate revealed a lack of backbone comparable to the Manitowoc County Court system (see Making a Murderer). Pilate, however, was just bending to the outside pressure of the Jewish leaders. The Jewish leadership sought the death of Jesus for a number of reasons. He undermined their interpretations from the start of His ministry. In a community where the self-worth of the Scribes, Pharisees, and Sadducees was derived from the ability to interpret the Scriptures, Jesus cut them to the quick. Jesus also committed a grand offense; He claimed divinity. Scribes present in Mark 2 question in their hearts, “Who can forgive sins but God alone?” Yes, who can forgive sins but God alone? If Jesus forgave sins, wouldn’t that imply deity incarnate? In Mark 14, the High Priest tore his garment and called Jesus’ response, “Blasphemy!” Why tear his clothes if the charge of blasphemy wasn’t of the highest offense? Jesus was worshipped as an infant in Matthew 2. Worship and devotion are for God and God alone, lest we willingly commit idolatry, and Jesus as an infant was worshipped. Over in John 9 Jesus heals the blind man and the blind man worships Jesus. Do you know how Jesus reacts? He receives it and tells those in earshot that He came to make the blind see and those who see to become blind. Mark 8 contains a similar statement to Jesus’ remark in Mark 14. Jesus discusses coming in the Father’s glory and also claims that salvation will come through Himself. Salvation only comes from God, so it is reasonable to conclude that Jesus thought Himself divine. These are only a few claims, but they are what led to Jesus’ death at the hands of the Jewish leadership. We know, however, that the Jewish leadership was not completely responsible for the death of Jesus. It was our sin that pinned Him to that cross. It was our sin that filled the cup of wrath that Jesus willingly consumed. With no sin comes no death. With no sin comes life. Our King met His fate for His servants and creation. Who is more qualified to be king than the king who walks into death for His people? Regicide happened at the hands of the Romans, the hands of the Jews, and the hands of all of mankind. Jesus, the murdered Maker of man, the killed King of creation, is both the victim and victor of regicide. Whereas Jesus was once a victim of our sin, He now is busy committing regicide Himself! Man constantly builds idols and worships false kings. Jesus, the true King, continually slays and destroys our idols. We want to build up our own kingdoms and He wants to build up His kingdom. The two cannot coexist, so idols burn that Christ may reign. Regicide is necessary for our salvation and sanctification. The King was killed that He may kill our false kings and hasten hearts to His Kingdom. 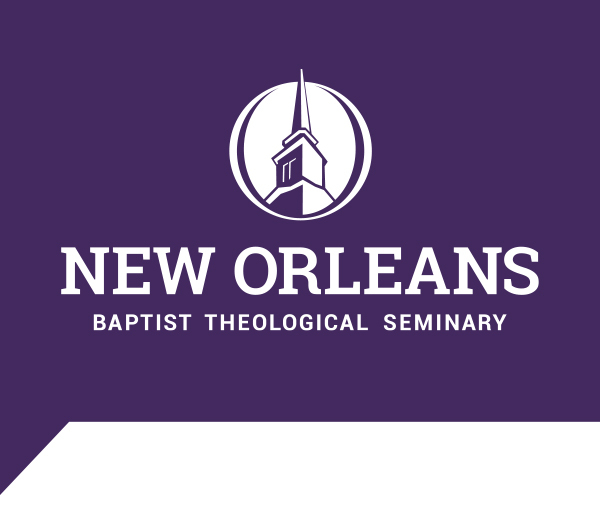 Steve Morgan is a graduate student at New Orleans Baptist Theological Seminary. Morgan also serves as the Digital Communication and Marketing Coordinator at NOBTS.